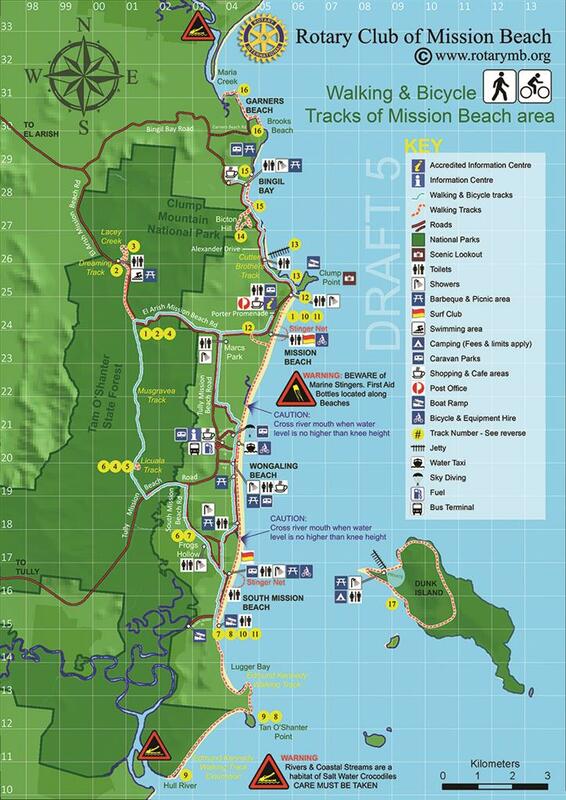 The highly anticipated Mission Beach Walking and Bicycle track map will be out soon. 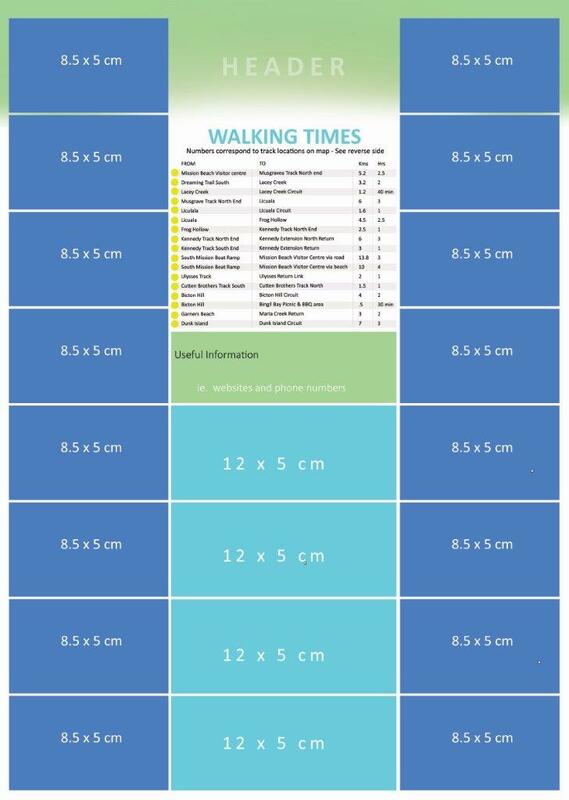 The Map has been re-done to scale to allow visitors and locals alike to gauge how far their walk will be and how long it will take them. If you're a business interested in advertising on the map, there are business card size places available. Call the project officer Roger on 0408 526 155 for more details.